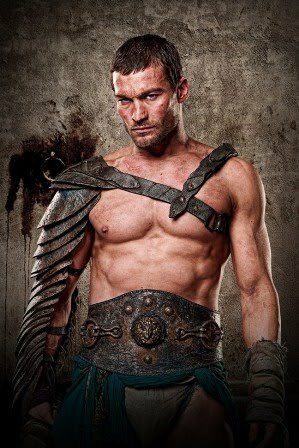 Season 1 of Spartacus: Blood and Sand is in the books, and with Season 2 being on hold while star Andy Whitfield receives treatment for Non-Hodgkin lymphoma, it seems like the creators are tossing around the idea of creating a prequel/mini-series/spin-off within the Spartacus universe. At first, I thought that this idea was an ambitious venture, but it does make some sense because it will give the showrunners the chance to utilize sets, actors, crew, etc. and it could keep the momentum going while Whitfield is getting the attention he needs. The big question is what would a potential spin-off look like? I'm not a huge fan of a prequel that would focus on a younger Spartacus and his life prior to the ludus, but I would like to see life at the ludus prior to Spartacus' arrival. Fortunately, the show has an abundance of interesting characters that could work. The show could focus on Batiatus and Lucretia's start in Capua and their rise to prominence. Another idea could revolve around some of the other gladiators like Doctore and Crixus and how they ended up in the House of Batiatus. Maybe the mini-series could highlight the backstories of all of the supporting characters, and maybe we can even get Varro back. As a fan, I cannot imagine seeing anyone else portray Spartacus other than Whitfield even if it is a younger version of the character, but I do want the series to continue in some form. I know one season is not a strong enough track record, but I am confident that the creators will make something work. Until then, fans should keep Andy Whitfield in their thoughts and prayers, wish for a speedy recovery, and hold tight until we get an awesome second season.